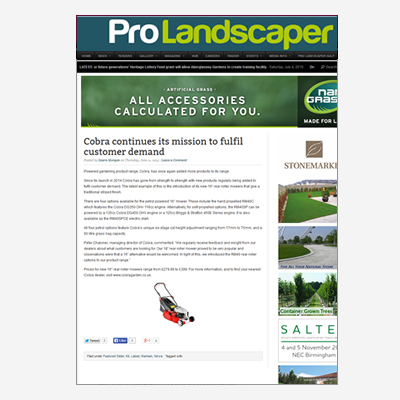 "Cobra continues its mission to fulfil customer demand! 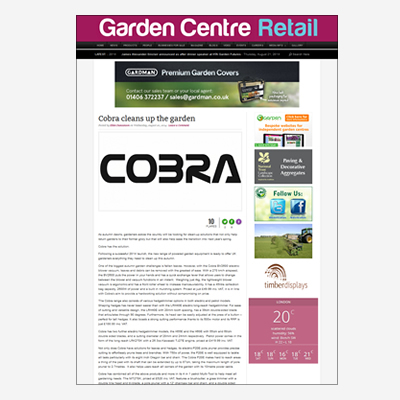 Powered gardening product range, Cobra, has once again added more products to its range. Since its launch in 2014 Cobra has gone from strength to strength with new products regularly being added to fulfil customer demand. 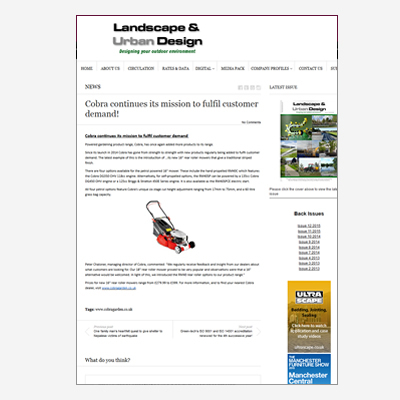 The latest example of this is the introduction of … its new 16” rear roller mowers that give a traditional striped finish." 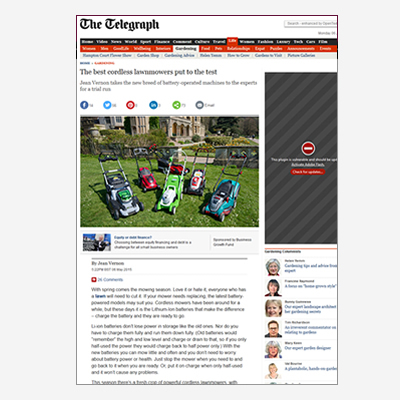 "Have YOU got Britain's best lawn? 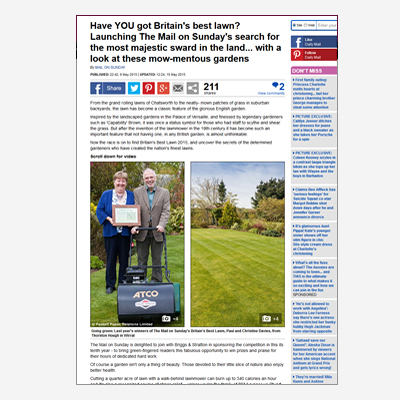 Launching The Mail on Sunday's search for the most majestic sward in the land.. Two Runner Up Prizes - a Cobra 4-in-1 Multi-Tool System worth £239.99 that is a trimmer, brushcutter, pole pruner and hedgecutter." The closing date is July 31, 2015. "Cobra MX46S40V lawnmower, £449, incl two batteries (used in series) and charger. 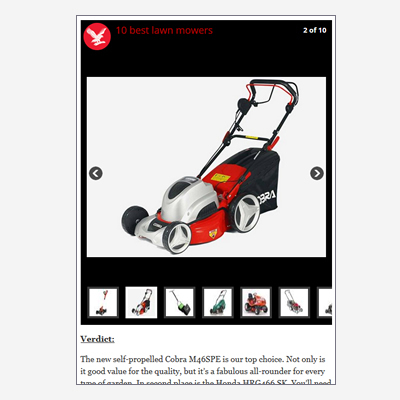 The testers liked the fact that this mower was self-propelled. Useful LED battery charge display on the handle. Big collection bag and a large cutting width. It’s easy to change the cutting height with the metal adjuster and it feels well built." 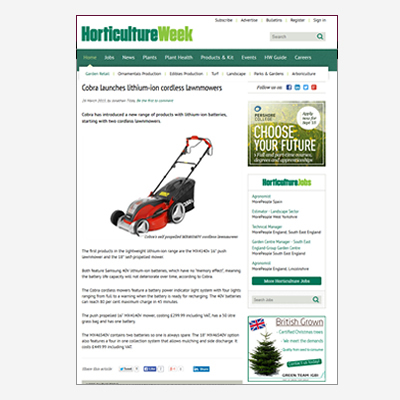 "Cobra has introduced a new range of products with lithium-ion batteries, starting with two cordless lawnmowers. The first products in the lightweight lithium-ion range are the MX4140v 16" push lawnmower and the 18" self-propelled mower." 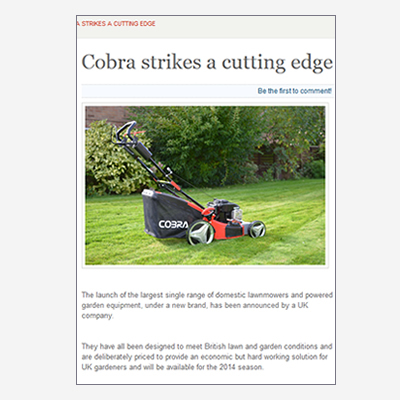 "The new range of Cobra lawnmowers has been specifically designed to meet British gardening conditions. With prices starting at just £89.99, all of the mowers in the range, including self-propelled petrol mowers and lithium-ion models, are excellent value - without compromising on quality." 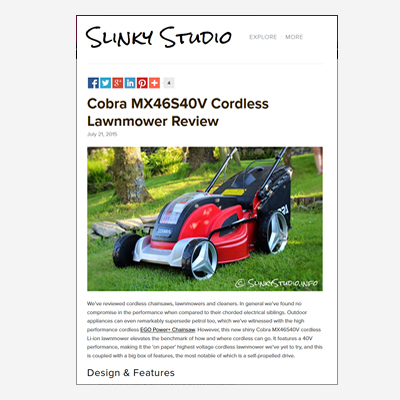 "Part of the enormous range of Cobra lawn and garden maintenance equipment now available are the 1,800W (35cm), 2,000W (40cm) and 2,400W (45cm) models feature a 13.5m/s chain speed and come with 10m of cable. 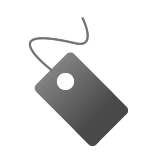 Prices range from £79.99 to £100 including VAT." 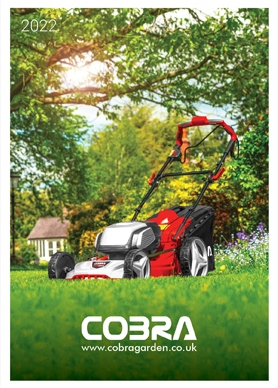 Cobra has now launched a brand new 16” petrol rear roller mower that is available with four options including as a self-propelled model with a 125cc Briggs and Stratton 450E Series engine, or as an electric start model with a retail price of just £399.99. Cobra cleans up the garden. As autumn dawns, gardeners across the country will be looking for clean-up solutions that not only help return gardens to their former glory but that will also help ease the transition into next year’s spring. Cobra has the solution. 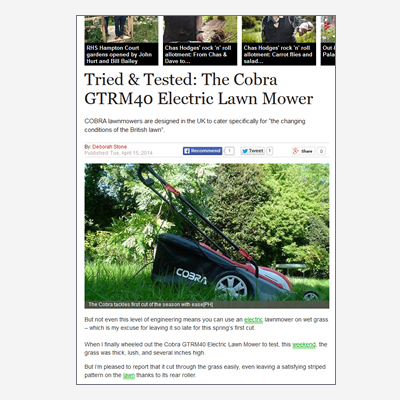 The Cobra GTRM40 electric lawnmower gets reviewed by the Daily & Sunday Express. "This weekend, the grass was thick, lush, and several inches high. But I’m pleased to report that it cut through the grass easily, even leaving a satisfying striped pattern on the lawn thanks to its rear roller." 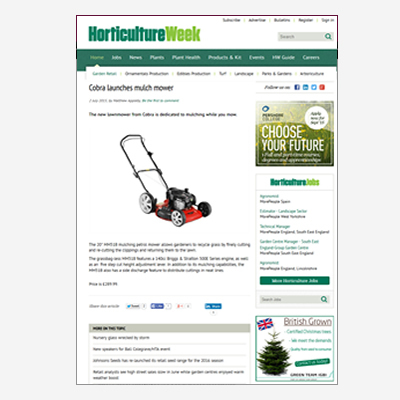 The Cobra MX46SPE features in The Independent 10 best lawnmowers. "The new self-propelled Cobra MX46SPE is our top choice. 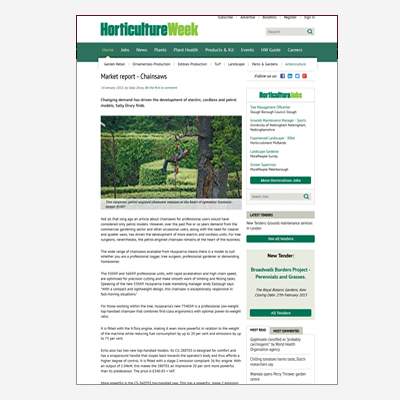 Not only is it good value for the quality, but it’s a fabulous all-rounder for every type of garden." 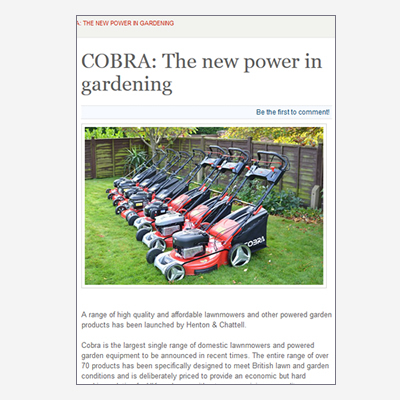 Cobra Garden Machinery is launched. 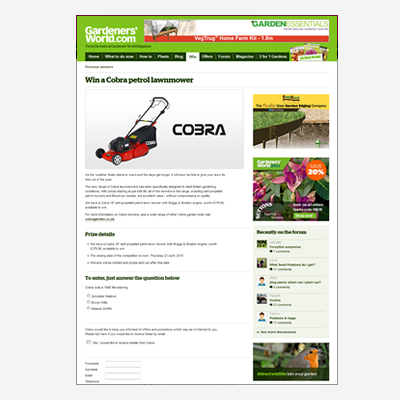 Cobra is the largest single range of domestic lawnmowers and powered garden equipment to be announced in recent times. 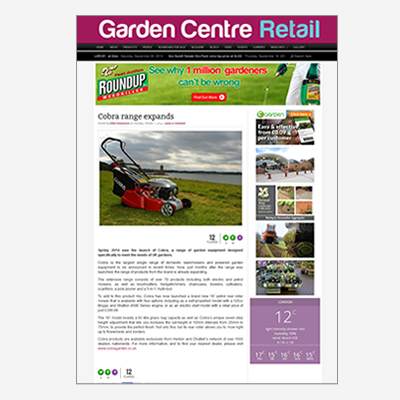 The entire range of over 70 products has been specifically designed to meet British lawn and garden conditions.